Welcome to Day 80 of 100 Days of Debt Free DIY Holiday Ideas. I’ve searched the globe to bring you some of the best DIY and budget friendly holiday ideas to eat, make and give all without breaking the bank this Christmas! Today is all about budget friendly gift ideas! Today I’m bringing you one of the cutest cookie recipes I’ve ever seen thanks to Stephanie at Somewhat Simple. 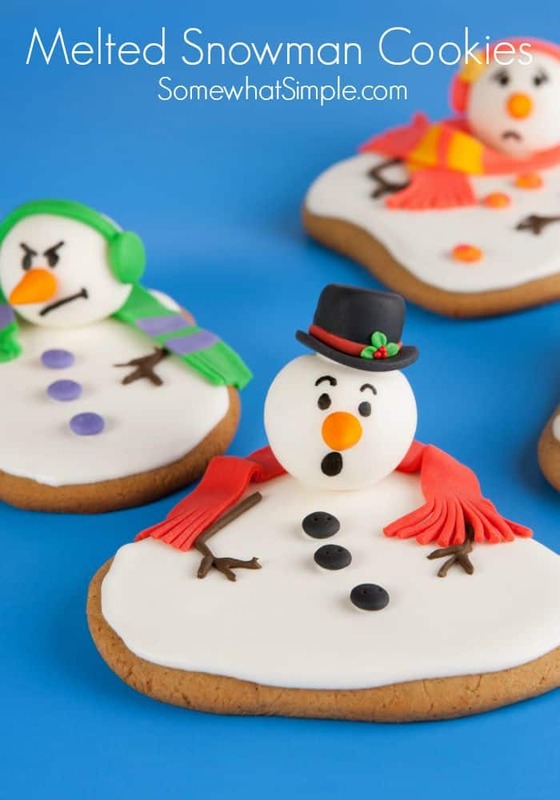 These melted snowman cookies are just adorable and the kids will absolutely love them. If you’re going to a cookie swap this year, you might want to save these for the party as everyone will be ranting and raving about how darn cute they are! Make sure you make enough because your family is going to want some too! These are so cute I would definitely consider giving these as a gift. It will certainly put a smile on someone’s face.